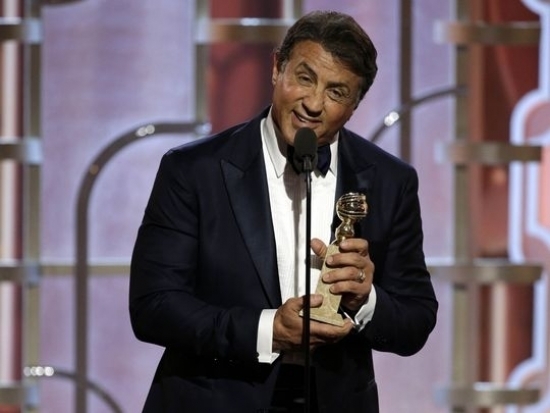 Sylvester Stallone won the Golden Globe for Best Supporting Actor in a Motion Picture for his work in the latest of the Rocky franchise, Creed. Stallone received a standing ovation from the crowd as he made his way to the podium. This was the first time since the original movie in 1976 that he has been nominated for a Golden Globe. That time was for Best Actor. He lost to Peter Finch in Network. Finch died two weeks before the awards. Sly ended with, "Most of all, I wanna thank my imaginary friend Rocky Balboa for being the best friend I ever had."